Thank you very much for subbing this SP. Otsukaresamadeshita. 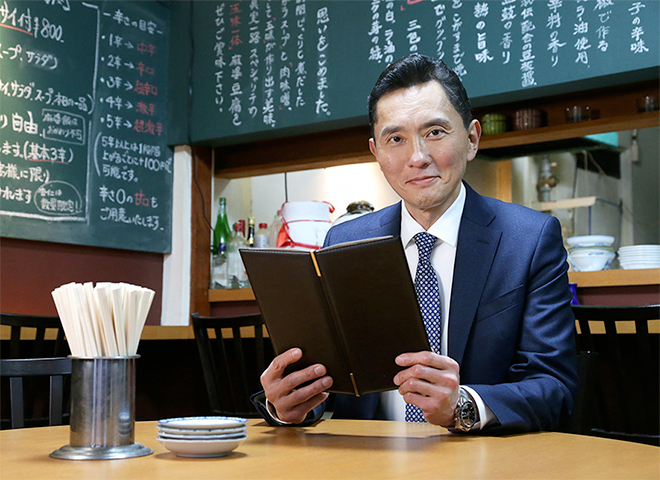 As a big fan of Japanese cuisine, I have only found out about Kodoku no Gurume ~2 months ago. Since then, I have been devouring the show, much like Goro his ever-changing food (well, except Yakiniku — he has that quite often). I have totally come to love the show, and got used to watching 2-3 Eps every other evening. Can you imagine my horror and sadness when I realized today that S7E12 was in the player, and … tomorrow I won’t be able to watch Goro eat? But fret not — because Earthcolors came to my rescue. Just as I was about to be washed ashore to the land of sadness — much like Goro when he’d be told that the eel’s out — I found out that you speed-subbed the new-year’s special. Boy, that was quick! And so detailed subs made with love and attention too! Well, what I want to say i guess: Thank you so much for your work! It’s great to make Kodoku no Gurume accessible to the only-little-japanese-speaking audience like me. I can’t imagine missing out on this. Thanks for your hard work on this — and — please continue bringing us Goro back ^_^. For those who can't find it at Nyaa with "kodoku" or "gurume", search "孤独のグルメ" and you will see many entries and the last one is the good one. Hi, any news regarding the drama notes perhaps? (Anonymous) - Thanks for your great work!